A binaural recording, headphone listening recommended. 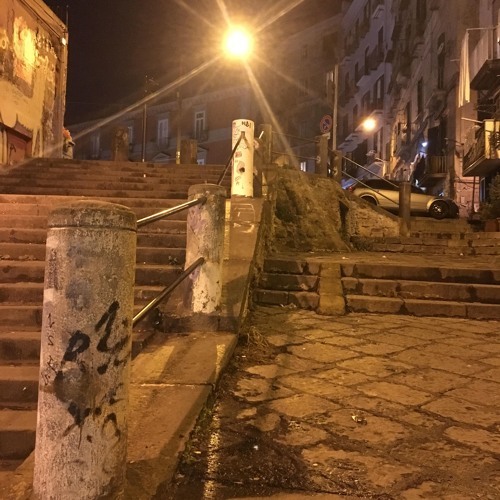 From via Tarsia, I head up the stairs of Vico Mastellone (pictured), up Salita Pontecorvo, across the parking lot/piazza of Largo Tarsia, up Salita Tarsia, to Piazza Mazzini, and head home down the Corso Vittorio Emanuele. Useless Sounds is a weekly series by Joseph Sannicandro, sharing short, unprocessed field-recordings.